Getting Things GNOME, GTG for short. It focuses on usability and ease of use. Its main objective is to provide a simple, powerful and flexible organization tool to the GNOME desktop environment. 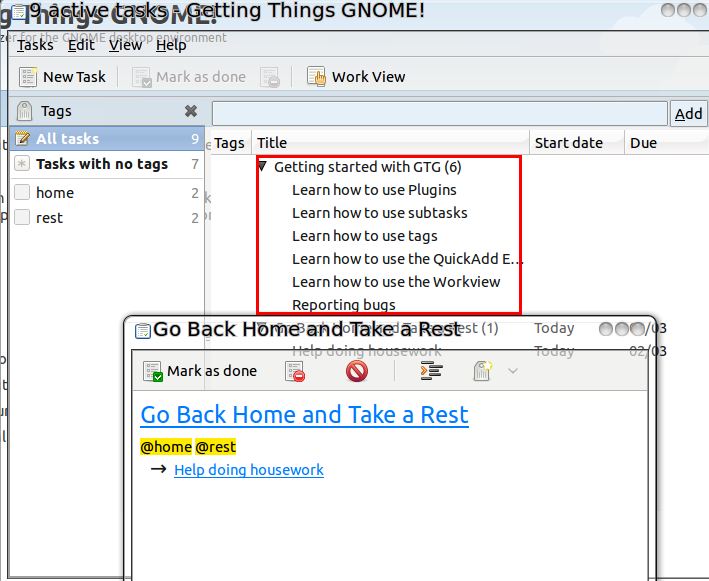 GTG uses a very handy text edition system for task creation and edition. The task editor can automatically recognize metadata such as tags and subtasks only by the use of a very simple syntax. If you wanna know more about this, please read Getting Started With GTG. After installation, launch GTG from Applications -> Office menu. 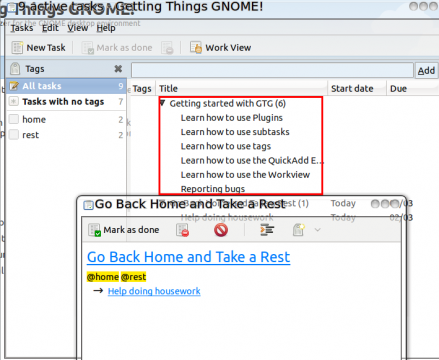 1 user responded in " Personal Organizer for GNOME using Getting Things GNOME "